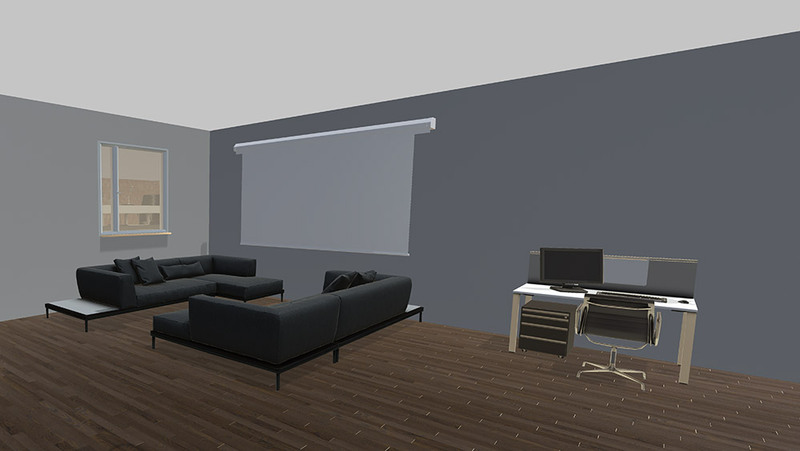 Now available on Viveport, TrueScale uses room-scale VR to let you design your dream home. Ever re-arranged a room in your house, only to move everything back again later? All that sweat and effort, just to get back to where you started. Wouldn’t you like to do all that… virtually? More than that: wouldn’t you like to summon up new furniture from thin air, then place it wherever you want in a room you’ve created yourself? 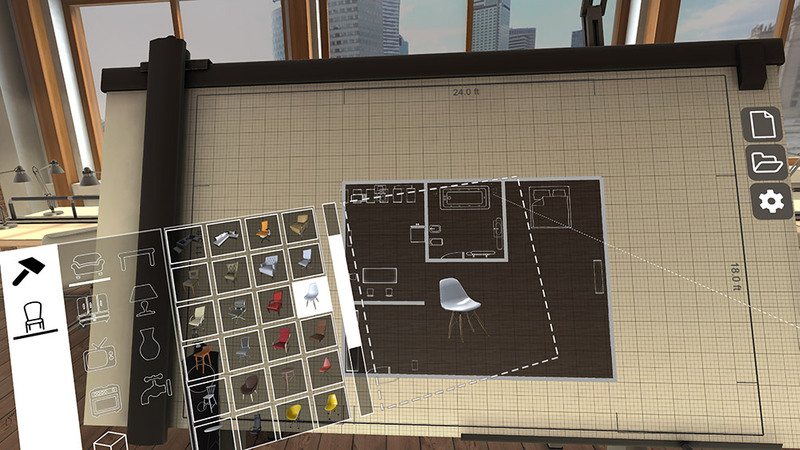 Yes, you can do this in virtual reality with TrueScale, which lets you recreate (or invent) your home in virtual reality, making a virtual redesign possible in a matter of minutes. 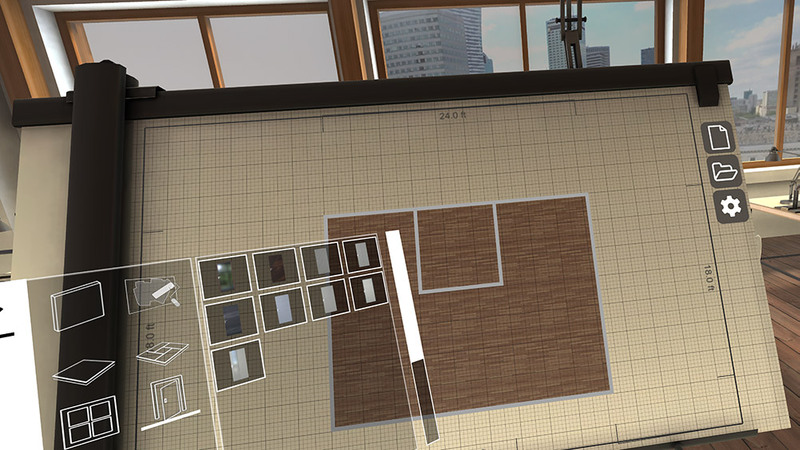 Redesigning your house, apartment or office using software isn’t new, but the magic with TrueScale is, well, in scale. You’re creating a virtual environment within a virtual environment, as you’re dropped into a virtual office and placed in front of a virtual drawing board. 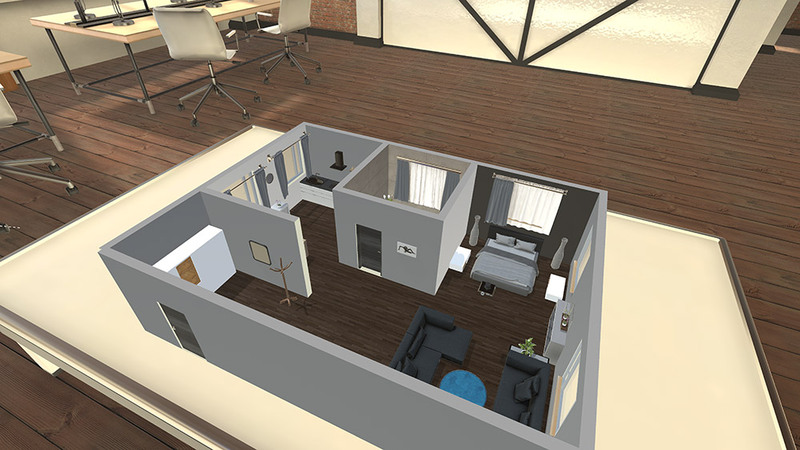 Here, you’ll be designing the 2D floorplan of your new house, home or apartment, using simple tools. The trick is when you turn around – because as you draw on the board, a 3D representation of the walls you’re creating appears on a table nearby. That small, dollhouse scale model is available for you to look at, walk around, examine by putting your face close to it and so on. So far, so what: there’s nothing here that can’t be done using paper or models. But TrueScale has one massive advantage over the traditional mediums, and that’s allowing you at any time to ‘shrink’ down to a dollhouse scale person and step into your in-progress architectural model. You can immediately see how the environment you’re creating will look from a human-sized perspective – and then alter it, right there in the same environment. Don’t like how that plant looks? Move it somewhere else. Need that door further down the wall? Drag it over there. This ability to have control over your environment isn’t new in video games, but it’s rarely applied so specifically to something like interior design. What makes all this better is that TrueScale developers, Immersion, have built in support for online furniture retailer Wayfair’s 3D furniture models. This means that when you’re placing items in TrueScale from Wayfair, you could in theory go buy those items and recreate your virtual design in real life. Whether you’re looking to redesign for fun or professionally, TrueScale is definitely worth experiencing. TrueScale is available on Viveport and Steam.